That EX-F1 super snapper from Casio that we saw yesterday may be the fastest draw in the West, but a new image sensor from the East promises a far higher resolution than any digital SLR camera to date. 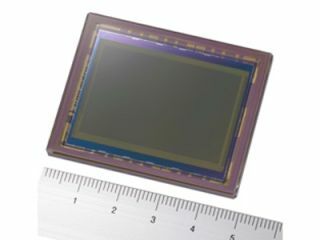 Sony Japan's latest CMOS sensor brings a whopping 24.81 megapixels to the table, as well as offering something that serious photographers demand in a sensor - a size equivalent to a piece of 35mm film. A frame rate of six per second pales beside the Casio camera, but it's still impressive considering the amount of processing applied to each image. There's an ana-digi converter for every column of picture elements that should do wonders for the signal-to-noise ratio and it works at all resolutions and speeds. The company says the new technology will appear in high-end cameras within the next year, adding that it will both make its own machines and sell the sensor chips to anyone else wanting to use it in their own brands.